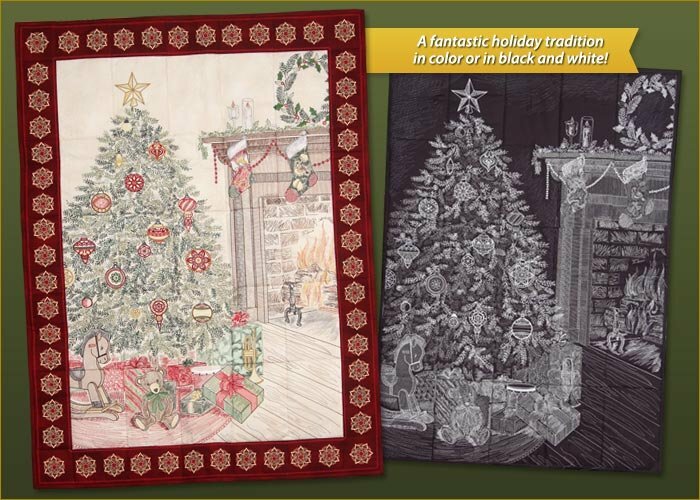 This new tiling scene features a home decorated for Christmas with loose stitches, and few satins for easy stitching. The tree and its trimmings, a warm fireplace with stockings hung above, and the presents themselves, all sit waiting for the family to wake on Christmas morning. Two colorway options both available with the same files.